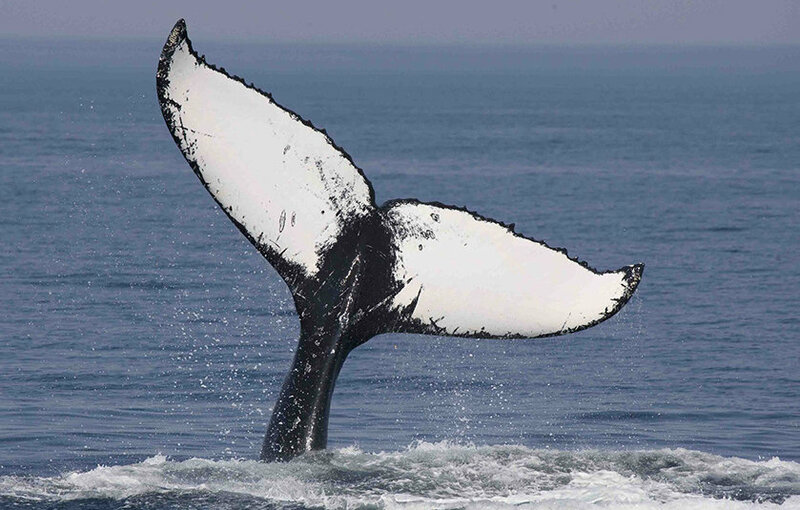 Cajun, who was born in 1988, is one of the most commonly sighted whales on Stellwagen Bank. She is more than 45 feet in length, which makes her one of the largest humpback whales in our population. 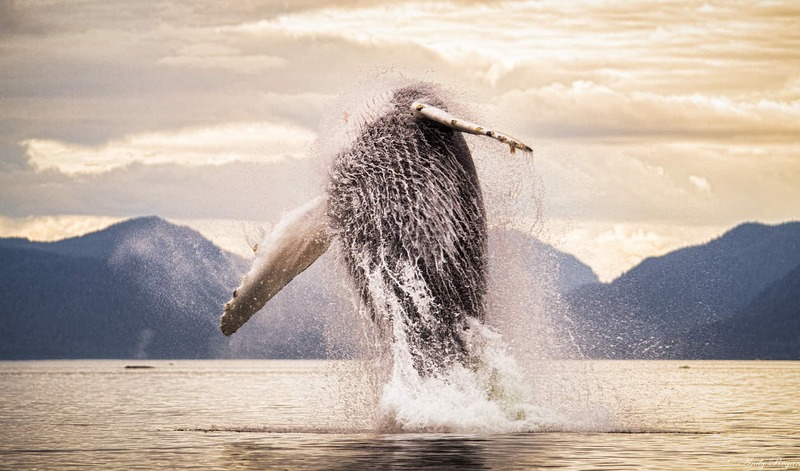 She is frequently seen in large feeding groups (five or more whales), and she often seems to be leading the group in cooperative feeding efforts. Interestingly, Cajun seems to prefer the company of certain individual whales in her feeding groups -- Pele, Hancock, Milkweed, and Perseid are the whales Cajun most frequently associates with. Cajun is the calf of a whale called Cascade and there is a strong resemblance in the markings found on Cajun’s tail and the markings found on Cascade’s. A few of Cajun’s calves also have tail markings that are similar to Cajun’s, making the close genetic relationship between the three generations very obvious to observers. Cajun herself is named for a marking on her lower left fluke that looks like a Cajun pepper.